If you would like to Volunteer please email caitlinsvineofbravery@gmail.com and tell us what you can help us with. We need volunteers to help with adoption events. If you would like to be one of our rescue coordinators, adoption coordinators, foster coordinators, volunteer coordinators, etc please get in touch to set up a meeting. If you would like to be a part of the volunteer Facebook page please email us with your Facebook account so we can add you to it. You will receive updates for upcoming events, transporters needed, volunteer opportunities and information and things we need help with. Please e-mail us and give us their name and contact info with a small description of their story. Live in the area and want to work for us? Thank you for your interest in volunteering. Please complete to form below and tell us what you would be interested in helping out with. 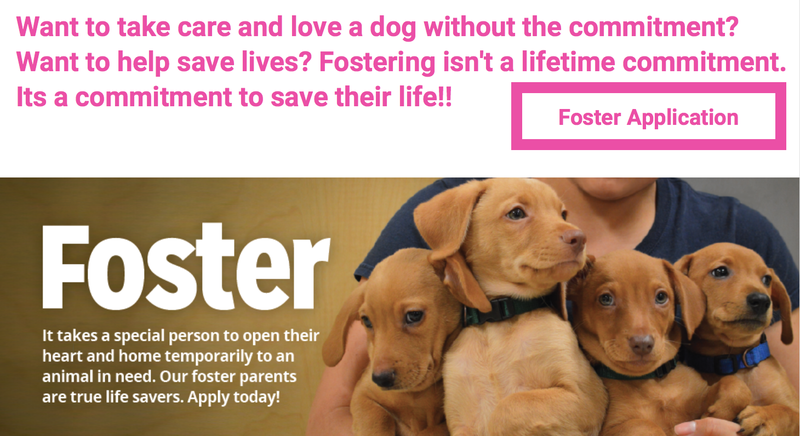 *If interested in fostering, please fill out our foster application. Please describe any other service experience you have that you would be willing to volunteer.